A beautiful two-story home with a farm house appeal. 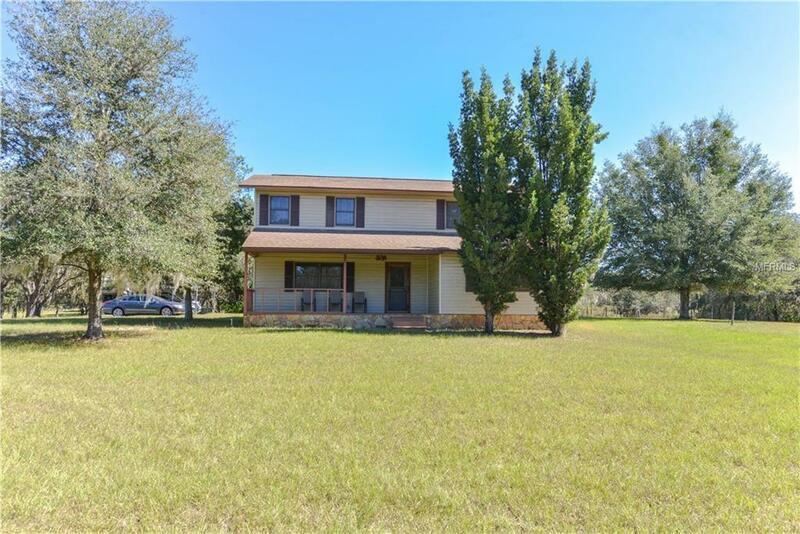 Nestled on 6.80 acres of storybook farmland with winding mossy oaks and open landscape. An irrigation system covers the entire lot and a garden ready for farming. New leach field was installed. A relaxing front porch would be the perfect spot for some rocking chairs and enjoy the privacy and sounds of nature. Inside you will notice the wood frame around windows, doors, and baseboards for that country feel. A comfortable living area for the family to gather on the first floor. The kitchen is very large and open and overlooks the dining room for easy serving during meals. A breakfast bar and plenty of counters and cabinet space reside in the well-equipped kitchen. A den or office sits off the living room. You could also use this as a 4th bedroom if needed, just add a wardrobe. A guest bath is on the first floor for convenience. All the bedrooms are on the second floor. The Master is very large and accommodating for large furniture. Two closets provided and an attached bath. Both guest bedrooms have more than enough space to keep guest and family comfortable and ample closet space. The mother in law suit has its own electric meter, a kitchen, and the bedroom is large enough to combine it with the living area. The pole barn is 40x30 with a concrete floor, loft, work area, and has electric. A screened in porch on the back of the home to relax with the sunset. If you are looking for a slice of peaceful heaven look no further.